Well, that brought us to earth with a thump. At one end of the park we leaked like a sieve and at the other we were toothless. 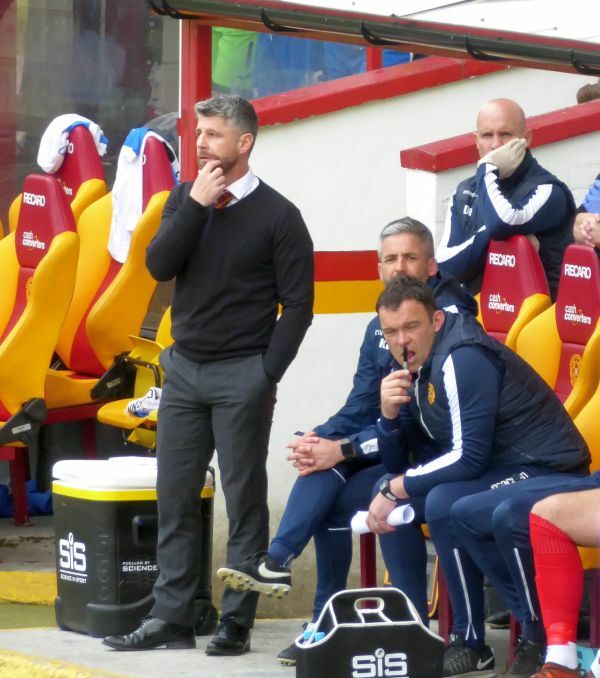 Did Motherwell discover the cost of complacency? We certainly learned that an eleven without Tait, Kipré and Bowman is a weakened team. Whether the remaining regulars lost motivation or the replacements were not up to speed hardly matters. We were not good enough. There was no attempt to avoid the hard truth by the manager or the players. There was complete acceptance of the inadequacy of the performance and a clear determination to make amends. We now hang on to seventh place thanks to a slightly better goal difference and have to match or better St Johnstone's results in the final two games to hang on. While the financial benefit of seventh over eighth is not insignificant (around £50k) the psychological value ahead of the cup final is surely greater. The trip to Firhill now assumes a greater significance. Thistle are firmly in the danger zone and desperate for points. At the same time we do not want the run to Hampden to be littered with defeats. Tuesday’s match could be a cracker.